The collaborative work of our Art Drop-in students inspired this workshop. In art terms, hybridity is the blending of mediums and cultural ideas, and it underlies the experiential learning in many of our education programs. 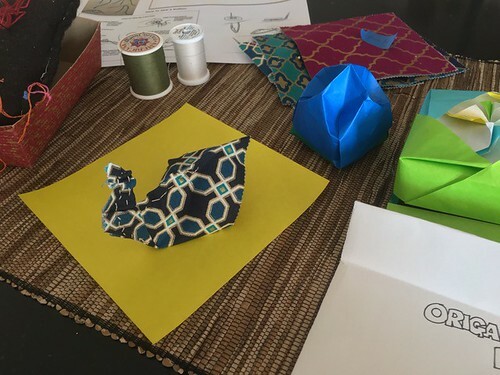 In this workshop, we’ll experiment by combining one student’s interest in origami with another’s in sewing, and we’ll see what happens when we merge these mediums. More about our weekly Art Drop-in here.